Who matters most to you? What’s holding you back from connecting with them? If you haven’t seen it, I’ll describe it for you. 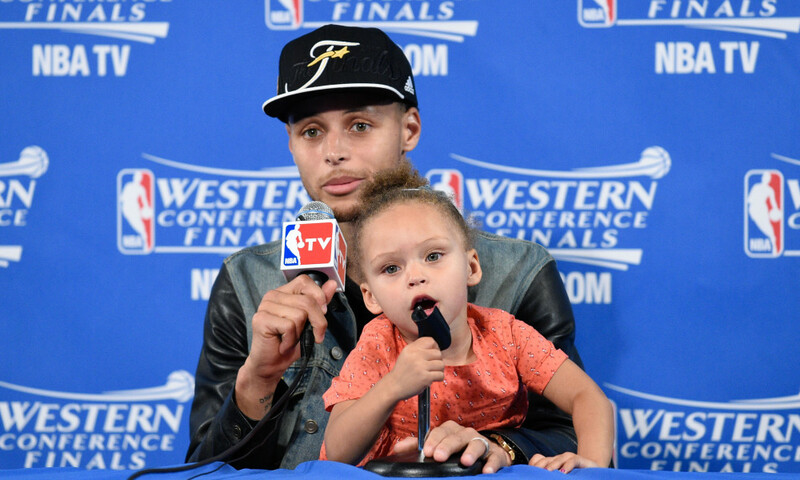 In a now viral video, NBA star Steph Curry holds his toddler daughter Riley on his lap during a press interview. His daughter then proceeds to steal the show. Throughout the video, she interrupts her dad, puts her face to the microphone, and walks slowly out of a curtain. All while her dad sits patiently. Some people are outraged, calling for new NBA policy to keep little kids out of the pressroom, while others see this as a glimpse of a real, loving dad, who happens to be one of the biggest basketball stars on the planet. You know what I thought about as I watched the video? I wish more people did this. We often get stuck like fish swimming in the waters of our lives. We do things to make ourselves look good, to be someone everyone thinks we should be, even at the cost of compromising who we really are. We don’t know these things are holding us back, because we’ve let it become normal. But a rare few, like Steph, change things. Here are six things you should start doing today, while you still can. They say that life is all about relationships. But our distracted brains don’t agree. They want more texting, more email, and more ways to impress the boss. There’s plenty of stuff out there to get in the way of life. Who matters most to you? What’s holding you back from connecting with them? Remember why they’re so important and let them be your motivation and part of accomplishing and celebrating your goals, and life will be more meaningful. 2. Start Being Bold — Ever heard the saying, “The bold will rule the future?” Seriously, it’s true. Sticking with what you believe means everything. Don’t be too scared to start things nobody’s ever done before because it appears impossible. Starting that new exercise approach is going to take more than average interest. And every day you put it off is another day you lose respect for yourself. By waiting to pursue your goals, especially those that make you healthier and happier, you become less of who you can be. Will that person in the mirror be any stronger if you don’t do what it takes? Be bold. 3. Start Sleeping More – When people brag to me about how little sleep they get and how much they can do without it, it makes me want to slam my head into a wall. You need to get plenty of sleep. There are very few exceptions to this, and most of us need 7 or 8 hours of renewing, health-restoring sleep. You are not so busy you can avoid sleep. That boss isn’t forcing you to work midnight hours. And it’s not worth waiting months or years to get carted off in an ambulance to discover the benefits of sleep you’ve been missing. 4. Start Saying No — My friend Steve Toronto reminded me once that anytime we’re not willing to say no, we’re saying yes to other things. So when you say yes to that night out, you’re saying no to <insert more important activity>. When you say no to less vital things, you gain power. That goes for saying no to everything from stupid TV shows to extra work that nobody even cares you’re doing. Service is powerful, and always precedes success. 6. Start Listening – Talk less, and give people the attention they crave. Be like Stephen Curry who’s showing the world he listens to his adorable daughter, but also wants the world to know he listens to her. Start today making your life everything it can be, and the rewards will be there. What above do you feel you could do more of? Would love to hear your thoughts.